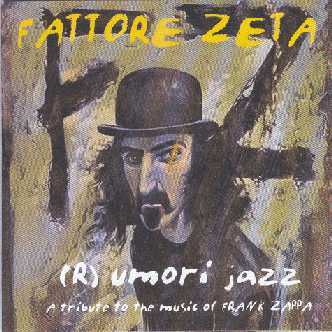 The band released their first real album in 2006, entitled "(R)umori Jazz". 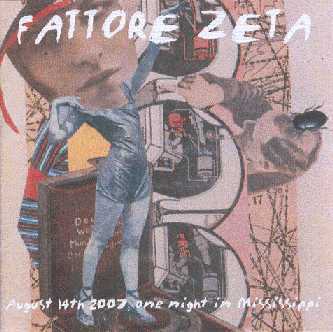 Their second one got released in 2009. 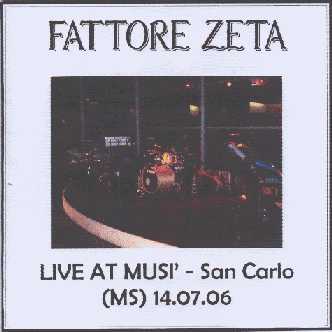 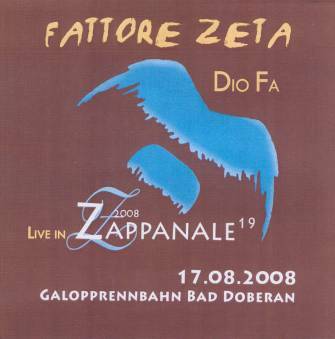 "Dio Fa", as it was called, captured the band's concert at Zappanale". 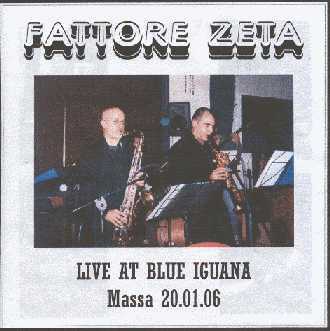 The picture on the right is taken from the Fattore Zeta website. 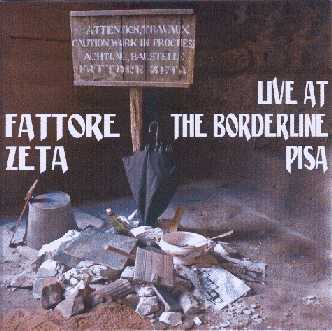 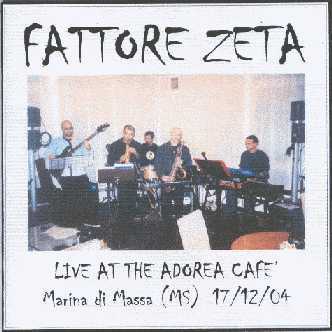 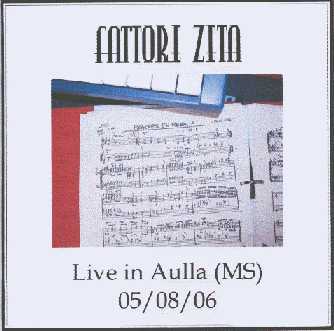 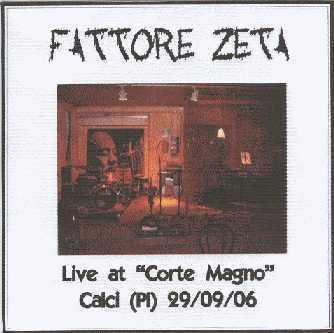 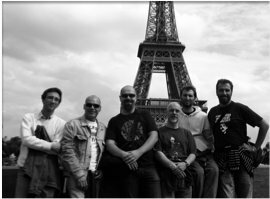 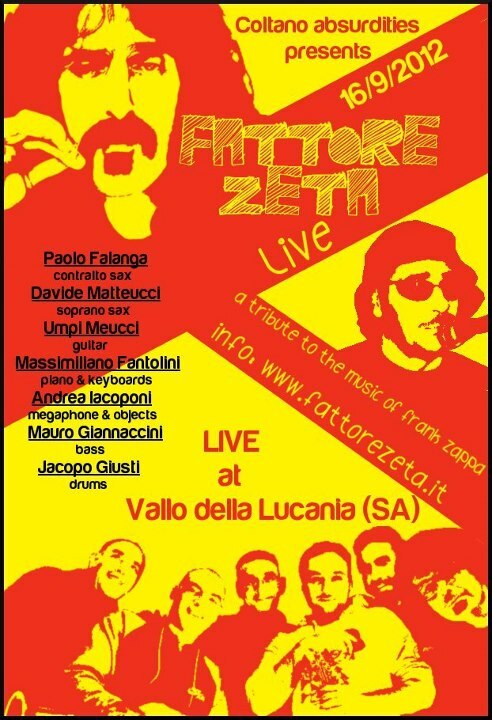 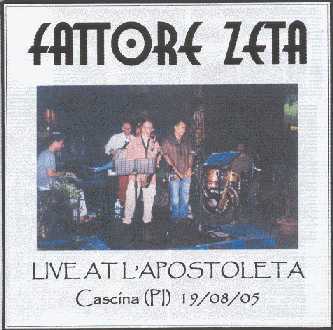 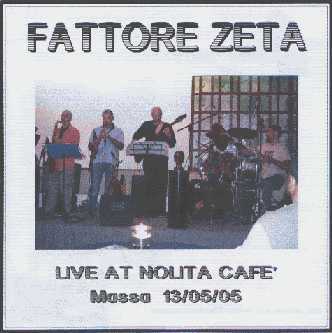 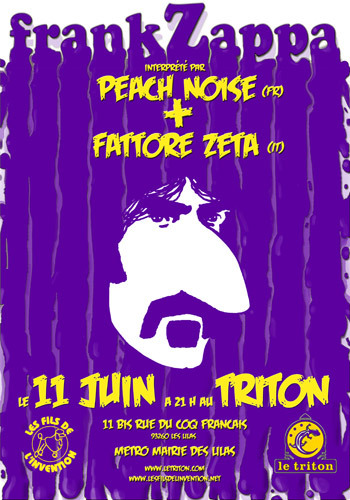 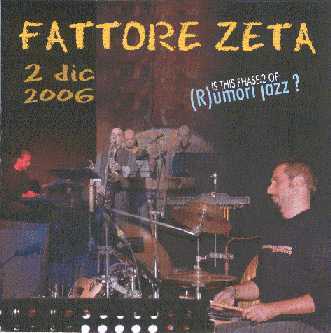 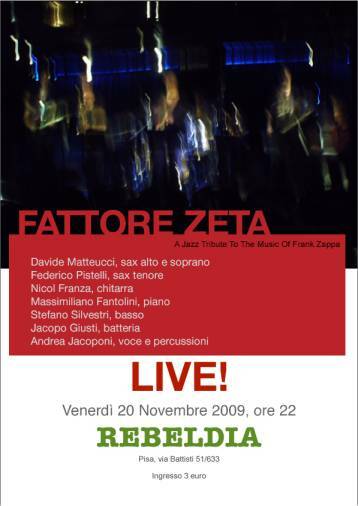 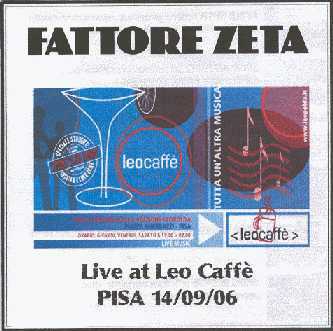 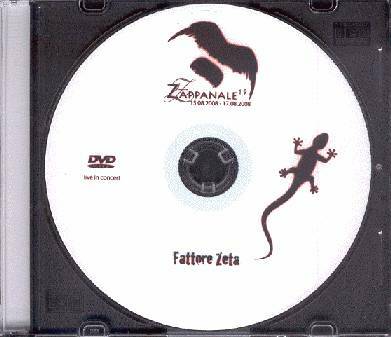 It's a picture of the band from 2006.
fattore zeta: 2006.12.02 - is this phase 2 of: (r)umori jazz? 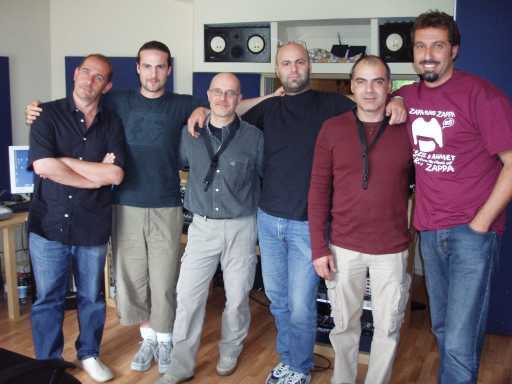 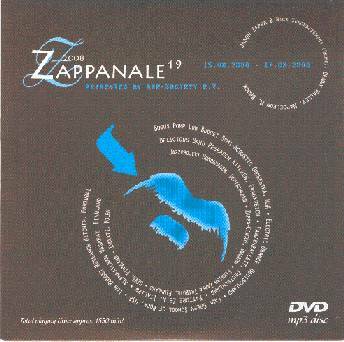 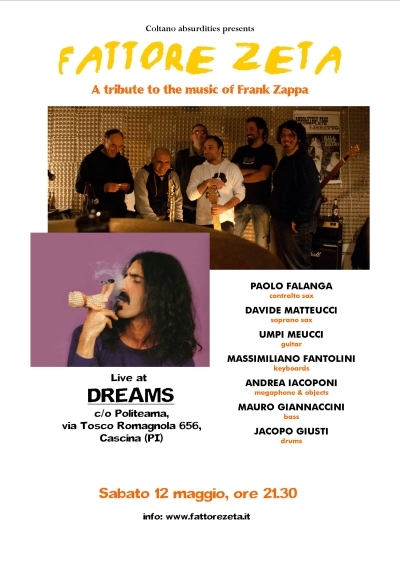 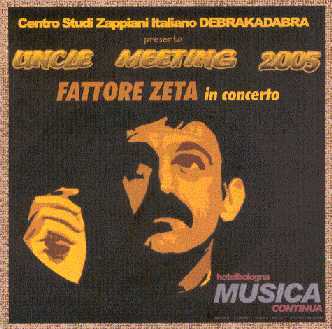 SERGIO TAURASI: piano & keyboards; DAVIDE MATTEUCCI: soprano & contralto sax; FEDERICO PISTELLI: tenor sax; GIORGIO TAURASI: bass; JACOPO GIUSTI: drums, percussion & conversations; ANDREA IACOPONI: narrations & gorilla RUBEN BELLAVIA: drums on "Serenade to a Cockoo"